This large, sweep brim hat is absolutely classy. 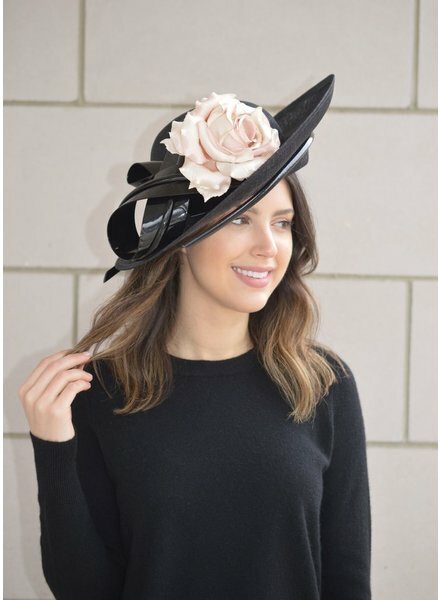 The chic combination of black sinamay and beige millinery flowers creates a sophisticated look. The design features a large quill that wraps front to back and a beautiful bow.